Still surviving this scorching summer heat? Since we can't really make the rising temperature go away overnight, at least we can try to cool ourselves down with some appetizing cold dishes. 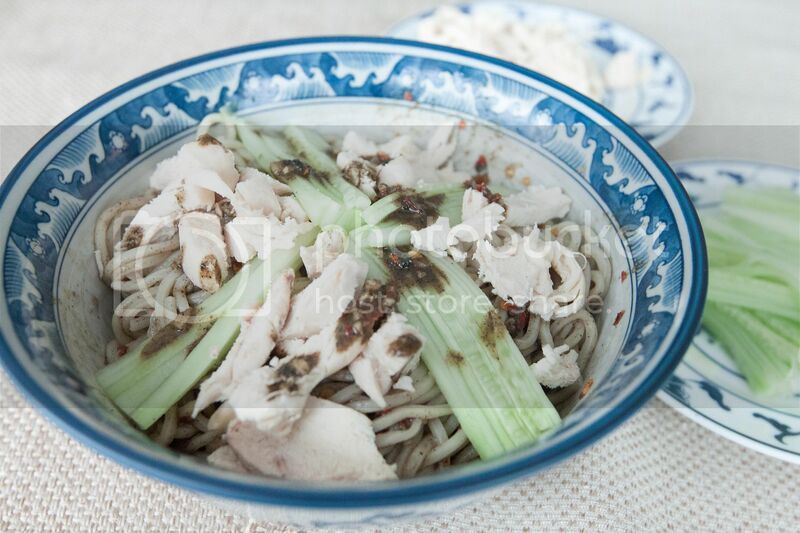 But don't take this cold noodles with black sesame sauce lightly. Despite its touch of coldness, the flavors are definitely up there with the help of Asian seasonings. 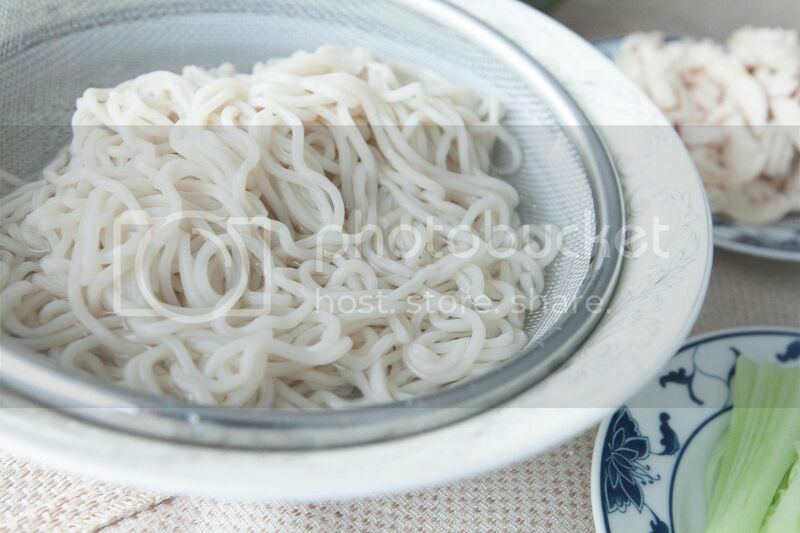 Most of the Chinese cold noodles with sesame sauce come with brownish sesame sauce made with white sesame seeds. 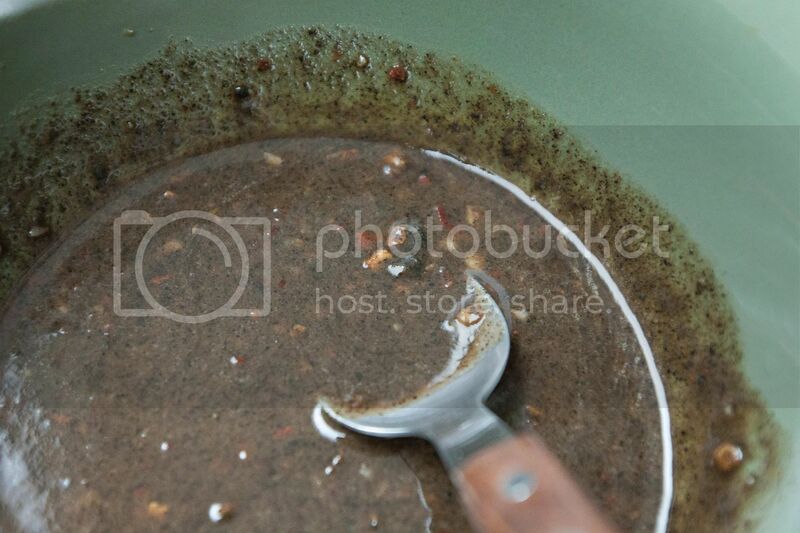 But the one used here is made by black sesame seeds. There are many versions of black sesame sauce sold in the market, be sure to pick up the unsweetened version. 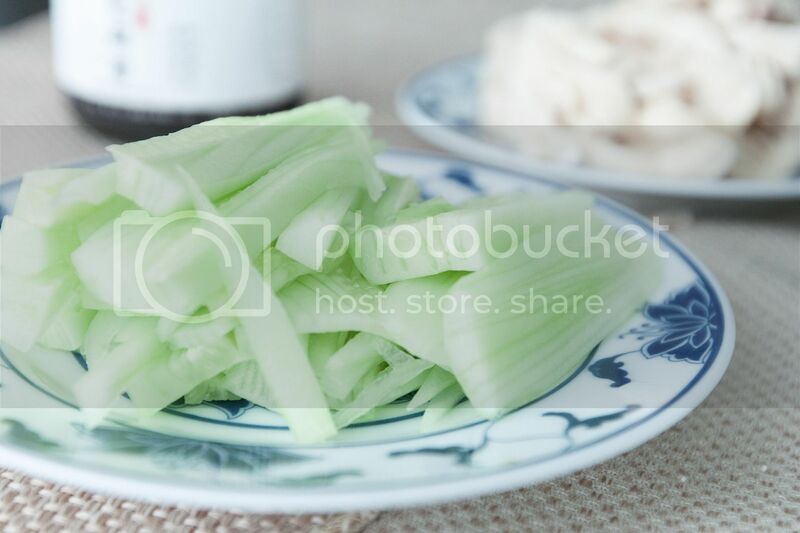 The sweetened version is mostly used as a bread spread, but with unsweetened kind, you get to decide if the sauce transforms into dessert or savory dishes just like this cold noodles recipe. 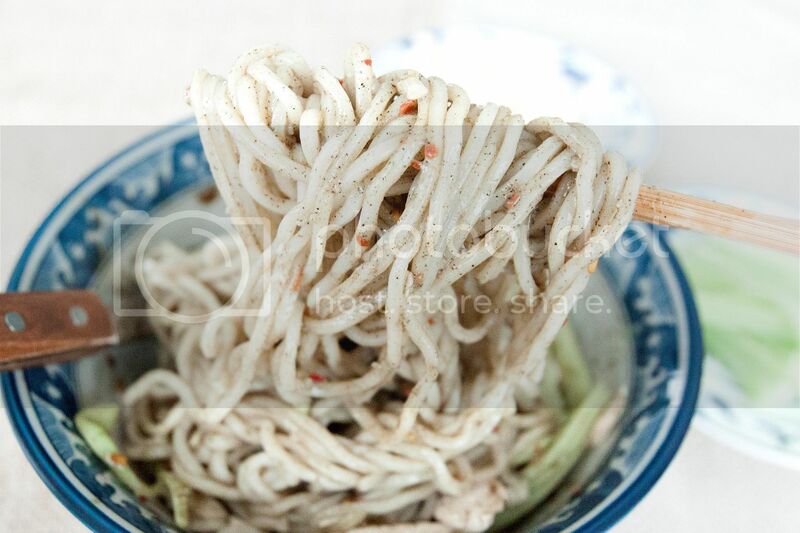 Besides different types of sesame sauce, the noodles come with many varieties too. 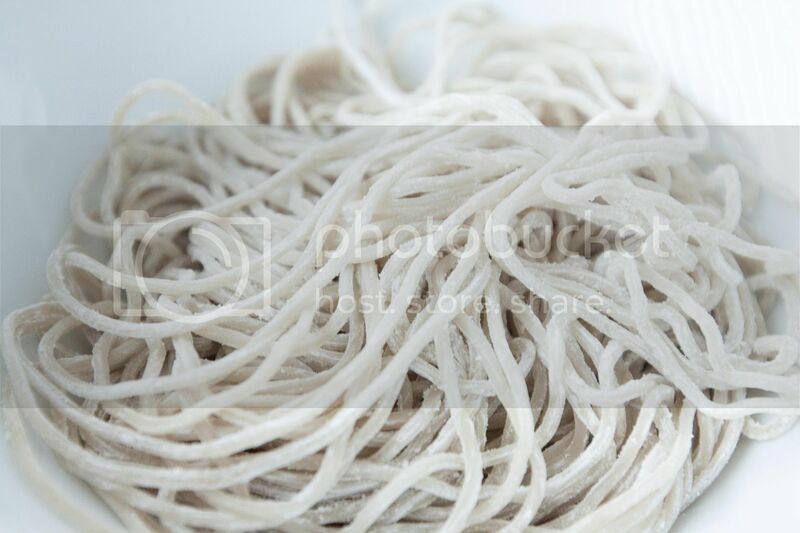 Most of the commercial Chinese cold noodles are yellowish. You can also find it at the grocery store, usually oiled to prevent sticking. My local noodles stand asked if I am going to cook and enjoy the noodles right away. I said yes, and she recommended me to use fresh noodles instead. It was a good choice. The flavors are lighter and fresher. Simply bring a pot of water to a boil then cook the noodles till some chewiness still remains. Drain the noodles and quickly transfer to a big bowl filled with icy cold water. Once the noodles turned cold, drain again and mix with few drops of olive oil. Transfer the noodles to serving dishes. Boil the chicken first. Once cooked, set aside and wait till cool enough to handle by hand. Tear or chop the chicken into strips or smaller pieces. Peel and julienne the skinny cucumber. Peel and julienne the carrot if using. Blanch the bean sprouts if using too. Peel and finely chop the garlic cloves. Mix the black sesame sauce, black vinegar, soy sauce, chili sauce along with some oil, lemon juice, sesame oil, sugar, and chopped garlic. Make sure the sugar is fully dissolved. Taste and adjust with more seasonings if needed. Mix the noodles with some sauce first. Arrange chicken and other toppings on top. Drizzle more sauce throughout. You can switch the ingredients used for the sauce per your liking. Some people like to use grated garlic instead of finely chopped version. However, I do like the texture and spicier kick from chopped garlic. The use the lemon juice is not a common thing too, but I love finding such a refreshing aroma from the heavier tasting sauce. Don't ever let recipes tie you up, be your own recipe creator and have fun with testing ingredients and combinations. Sure, sometimes you have to brave it up and finish off the scary creations. Trust me, it'll get better over time and soon enough you'll find yourself licking the plates asking for more.